Tortilla Espanola is a classic Spanish dish, often eaten as tapas. I lived in Spain from age 12 to 17, some formative years of my life. I remember tortilla espanola being one of those dishes that just brought people together, so even today, it just tastes like home. Wherever you go in Spain, it's a dish you'll find on the menu. Everyone has their own way of doing it, but the basic recipe involves eggs and potatoes. Here's my version, bulked up with a healthy dose of veggies and one of my favorite spices, smoked paprika. 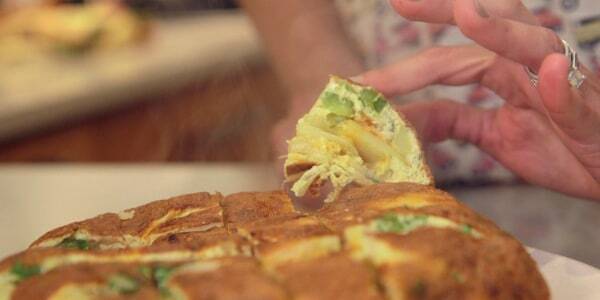 Watch the video to learn more about tortilla espanola and see Natalie make the dish.